is a genuine flagship smartphone. It boasts a top end 4K display, with the latest Snapdragon chipset under its gorgeous body. Accompanying that with Sony's photography and audio expertise, the phone is surely a stunner! 1. Design a bit dated and does not look so premium. 2. Lack of 4K content reduces display advantages. All its specifications sounds great but also note that while other companies out there are stretching their screens, opting for a bezel-less display, Sony still chose to cram those extra pixel within a much smaller display, with a bezel. While other companies are busy out there adding dual cameras to their flagships, Sony was busy adding an extra memory buffer layer in a high-resolution sensor to capture slo-mo videos. That however doesn't mean that Sony's product are worse. It highlights their expertise in those field. And I personally love it. Aluminium on the top and bottom with curved polycarbonate sides and Gorilla Glass 5 protection on the front and back, IP68 waterproofing. 5.5 inch Triluminos 4K display (3840×2160 pixels), HDR video support. Android 7.1.1 Nougat, complete with Xperia launcher and Sony multimedia apps. Snapdragon 835 SoC : octa core Kryo 280 CPU (4×2.46 GHz + 4×1.9GHz), Adreno 540 GPU, 4GB RAM. 19MP Sony IMX400 camera with f/2.0 lens, predictive hybrid laser/phase detection/contrast AF, IR sensor for white balance, LED flash, dedicated hardware shutter key, 4K video recording at 30fps,1080p at 60fps,720p at 960 fps and Steady Shot. 13MP front camera with autofocus and capable of recording videos at 1080p, 30fps. 32/64GB internal storage with microSD expansion up to 256GB. Available in single and dual-sim variants with dedicated microSD card slot. 1 Gbps LTE, Dual- band WiFi a/b/g/n/ac, GPS/GLONGLASS/Beidou/Galileo, Bluetooth 5.0, NFC, USB C-Type port with USB 3.1 connectivity, 3.5mm headphone jack. 24-bit/192kHz Hi-Res audio, Active noise cancellation with dedicated microphone. 3230 mAh non-removable battery with Quickcharge 3.0 support, Qnovo adaptive charging, Battery Care smart charging. Fingerprint sensor (not available in the US), stereo speakers. Lets talk about the hottest topic. Bezels. Are they present around one of the best screens in the market or just an eyesore for a flagship? Well, according to me, the Sony Xperia XZ Premium is currently one of the best looking phones around. It has been a pleasure holding it and looking at it. The design has been more polished this year and the metal edges on the top and bottom makes for a great feeling in the hand. The Gorilla Glass 5 on the front and back with a flat surface makes the XZ Premium a very sturdy phone. The glass enters into a seamless transition into the curved polycarbonate sides, and it's not glass all around. Being made of plastic, the sides absorb shocks a lot better than the metal body ones, without getting dented, scuffed or dinged like them. 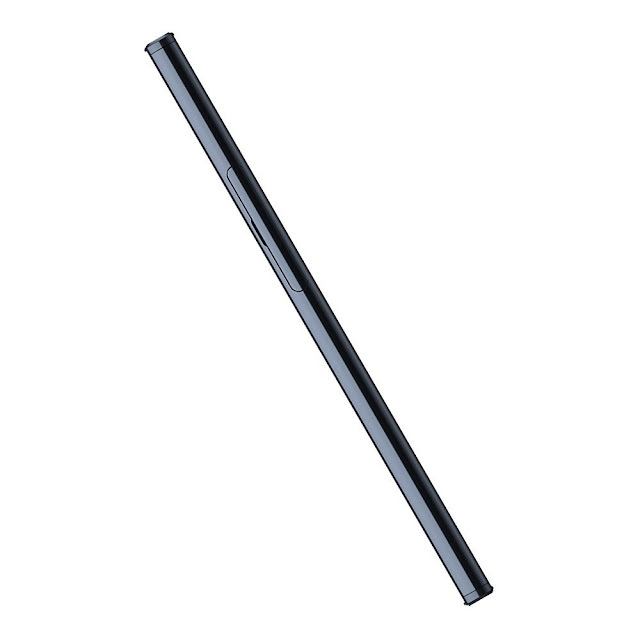 The top and bottom are entirely made of flat, diamond-cut metal and form a reflecting facet. The surface of the facets are double anodized, making the product more durable, and produces some light-bending effects. 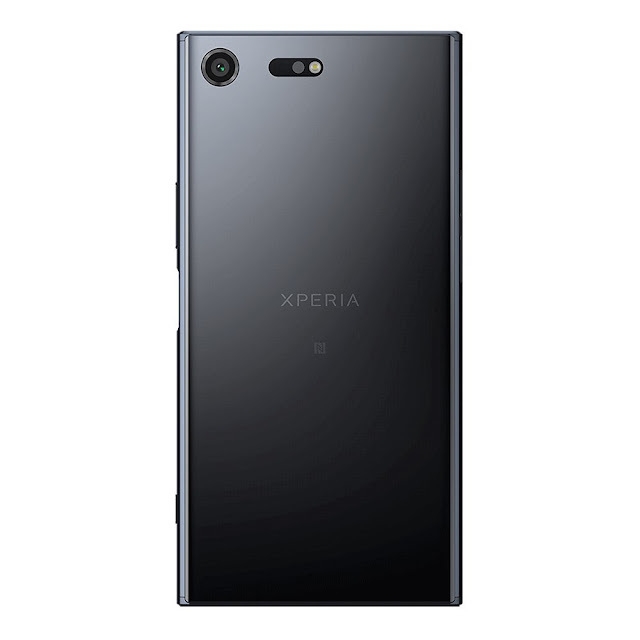 Following the Xperia flagship legacy, the Xperia XZ Premium is dust and waterproof, and has stereo speakers, which again, are signature features of Xperia flagships. There are no caps on any of the ports except the SIM slot. Unlike other brand's flagships, Sony has gained bezels. It has large top and bottom bezels, with side bezels, too. On the Luminous Chrome model, Sony chose to gloss the front bezels, which are sometimes quite distracting as it reflects all your surroundings. The distractions however, are not so prominent on the Pink and Black options. The Xperia XZ Premium has gained some weight,30g to be exact, but I don't mind it. The phone feels so sturdy as if it's cut out from a single block of aluminium. The all glossy surface is a bit of a fingerprint magnet, though. Let's look at the device from a practical angle now. Above the display is the speaker/earpiece, with the selfie camera and a couple of sensors on the right and the status LED is present at the far left. The second speaker is below the screen. Sony claims the new speakers are 41% louder than the Xperia XZ and well balanced unlike the hybrid solutions found on the iPhone 7, or the Huawei P10 Plus. The nano-SIM and the microSD compartment has a single tray on the left side. The only inconvenience is that when you pull out the tray, the phone restarts automatically. What is even more annoying, is that when you insert the tray back, the phone restarts the second time. The right side of the device contains the volume keys, the power/lock key, and the camera shutter key. The power key also doubles as a fingerprint scanner, but it's not always on, so you can't wake up the phone by touching it. The top of the device contains the audio jack, along with the secondary microphone. The bottom contains the USB Type-C port, alongside the primary microphone. The Motion Eye camera lens is at the back of the device and it sits flush with the surface along with the single LED flash and a couple of sensors. The Sony Xperia Z5 Premium was the first phone to come with a 4K display, which was revolutionary for a mobile device. The Xperia XZ Premium inherits that display, adding HDR support. HDR has high credits- highlights and shadows are rendered better, gradients are smoother and colours are richer. The 4K display has great VR advantages too. However, Sony hasn't found any way to implement the screen to good use in VR. None of the current mobile VR units have enough resolution, but with a 4K display and a powerful GPU, the Xperia XZ Premium is Sony's perfect weapon for ruling the VR market. At normal distance from our eyes, the 4K display doesn't look any similar, as our eyes cannot tell the difference compared to a QHD display we currently see on most flagship phones. Anyway, the phone runs in normal 1080p mode most of the time except when you feed it with a 4K video sample, and all the pixels come to use. This time YouTube will offer you 4K setting on the Xperia XZ Premium. There is no HDR support on YouTube, though. The display on the Xperia XZ Premium is HDR 10 compliant, thus there is no Dolby Vision support. The phone also offers Adaptive Tone Mapping to ensure bright screen contents don't get clipped when brightness goes in bright ambient light. Sony has the same feature on their BRAVIA TVs. Under microscope the screen revealed the same RGB pixel arrangement like the Xperia Z5 Premium. Even at maximum magnification, individual pixels are rarely visible-such pixel-dense the screen is. The screen has a maximum brightness of 573 nits. Sunlight legibility is good, but had space for improvement, though. The black levels are deep, which works out to a contrast ratio of 1238:1. In the Sunlight Contrast Ratio test, the Xperia XZ Premium came below our test with a sunlight contrast ratio of 2.877, with the Samsung Galaxy S8 coming at the top with a ratio of 4.768 , and Apple iPhone 7 Plus coming below the Galaxy S8 with a ratio of 3.588. The display also comes with an sRGB colour mode, which caters to them who need accurate colour reproduction. The feature is not turned on by default. The sRGB mode scored an average Delta E of 4.9 in the colour reproduction test, which is good. There is a bluish tint in the white and gray hues, though. The Normal display mode produces more beautiful colours, and scores an average Delta E of 4.6, better than the sRGB mode. The whites and grays still have a noticeable bluish tint. There is also a Vivid screen mode, which over saturates every colour. Sony also offers an X-Reality engine for mobile, which works only on videos and makes them noticeably sharper by improving clarity. The feature can be toggled on or off. The Triluminos screen enhancement now works in homescreen and third party apps, unlike the previous versions which worked only in the Album and Movies apps. Sony has now replaced the long-running 23 MP cameras in their flagships with a new 19 MP IMX 400 Exmor RS sensor also known as Motion Eye. The physical dimensions , however remain the same, which has resulted into the pixels being 19% bigger, increasing low light photography. The camera has an all new feature- instead of the usual 2-layer design, the new camera features a RAM chip sandwiched right in between the sensor and circuitry layers. The RAM serves as an ultra-large buffer where the camera temporary stores photos and videos without waiting to store them permanently. As a benefit, the sensor reads out full resolution 19MP image 5× faster. It also enables the headline feature- 960 fps HD video. There is a manual mode in the Camera app, which serves full range shutter speed selection from 1/4000s - 1s, exposure compensation, white balance, and a manual focus slider. The ISO setting can be maxed out to as high as 3200, but the Intelligent Auto can max it out at 12,800. The Auto mode detects when the phone is mounted on a tripod and allows for a longer ISO/shutter speed to improve low light photography. The RAM buffer has added another new feature called Predictive Capture. When the camera detects fast paced movement, it records few of the moments before you pressing the shutter, so if you were late taking the shot, you could use one from the previous samples. In good light, the phone performs great in capturing the finest details. There is a major change in the corners now, so the corners are sharp just like the centre,which is an excellent improvement from the past. The Auto White Balance is also improved, and the colours are more accurate. The images turned out to be true to life with accurate colours, great contrast and white dynamic range. The Intelligent Auto is excellent at recognizing the scenes and adjusting parameters. The autofocus, although not as fast as like the Galaxy S7 or S8, is pretty fast, and the dynamic range is wide. If the scene needs HDR, the phone shoots is Backlit mode automatically. The Panorama mode has been improved with the vertical height now being at 4000px at the highest. Also, the panorama can be stopped at any time you like. The panorama quality is good, with no stitching traces and the images have good colour, contrast and dynamic range. Shooting samples at low light, the phase uses the onscreen shutter to reduce shake as much as possible. The low light images lose a lot of detail to heavy noise reduction, which doesn't do a good job of reducing noise itself. The performance is not bad, but it lags behind most of its competitors. Pointing the Xperia XZ Premium towards the buildings, the camera did a good job, with the images having detail, and had good contrast even at 100% zoom. The ISO could have been a little better, though. 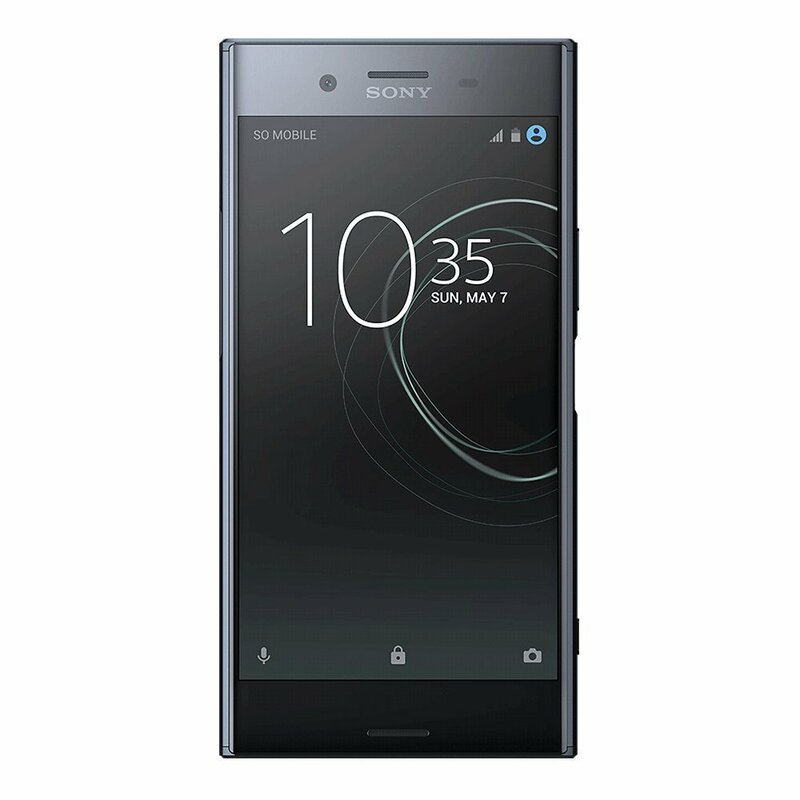 The Sony Xperia XZ Premium features 4K video recording at 30 fps, and supports SteadyShot video stabilization. The 2160p recording is still a separate feature after all these years, instead of being integrated in the video recording setting. No flagship of the Xperia lineage had optical image stabilization, and the Xperia XZ Premium is no exception. Sony's SteadyShot with Intelligent Active offers 5-axis image stabilization. 4K videos have plenty of detail, great contrast and accurate colours. Corner softness is also absent. The footage is noise free and looks natural. SteadyShot video stabilization is also offered for all videos. However, for 4K videos only the Standard SteadyShot mode is available with 3-axis stabilization. The 5-axis Intelligent mode is limited to only 1080p videos. The more fun feature of the camera is the 960 fps HD video. The videos run at normal speed until you press the on screen button that slows down time for a split second. The steps required to get to this recording mode, is however lengthy. You have to switch to video recording, then hit the slow motion button, then start recording video and then hit the slow motion button again at the exact moment. Going through the sequence, nailing the right moment is still quite hard as the camera doesn't start a special process when you hit the button, but offloads what was already in the buffer, and so it shows you the recording of the events that have already happened when you pressed the button. It's a bit tricky, but would be easier once you get the hang of it. The video quality was very good for HD resolution. A 13 MP autofocus front camera with an f/2.0 lens handles the duty at the front. But note the fact that in Intelligent Auto mode, the camera seems to have some sort of beautification enhancement constantly, and if you don't fancy such effects on you, you may have to switch to Manual mode instead. Images produced are somewhat noisy, but selfies are detailed and colour accurate at least in daylight- at night image quality takes a big hit. The Sony Xperia XZ Premium was one of the first devices to have the beastly Snapdragon 835 chipset inside and so we know it is fast. But just how fast is it? The chipset offers an octa-core Kryo 280 CPU(4 × 2.46 GHz and 4×1.9GHz) with an Adreno 540 GPU and 4 GB of RAM. Starting off with the Geekbench 4 (multi core) test, the Xperia came fourth with a score of 5837 points, with the Exynos Samsung Galaxy S8 Plus coming at the top with 6338 points. The Exynos Samsung Galaxy S8 came second with a score of 6175 points,the Snapdragon Galaxy S8 Plus came third with 6106 points. The Huawei P10 with the Kirin 960 chipset came in fifth place, below the Xperia with 5821 points, and the Apple iPhone 7 Plus with its A10 Fusion chipset came last with 5664 points. In the Geekbench 4 (single core) test, the Xperia came third with a score of 1945 points, with the Apple iPhone 7 Plus outclassing it by scoring 3473 points. The Exynos Galaxy S8 came second with 1945 points. The Exynos Galaxy S8 Plus came fourth with a score of 1938 points, the Huawei P10 Plus came fifth with 1937 points and the Snapdragon Galaxy S8 Plus came sixth with 1915 points, and the OnePlus 3T came last with 1890 points. The Mali-G71 MP20 GPU inside Samsung's Exynos 8895 chipset is superior to the Adreno 540 inside the Xperia. But will this show in the benchmarks? Well yes! In the Basemark X test, the Xperia came third with a score of 38507 points, with the Exynos Galaxy S8 Plus coming at the top with 43862 points, and the Exynos Galaxy S8 came second with 42370 points. The OnePlus 3T came fourth with 36958 points, and the Snapdragon Galaxy S8 Plus came fifth with 34951 points. In the GFX 3.1 Manhattan (1080p offscreen) test, the Xperia came second with 39 fps, with the Exynos variant of the Galaxy S8 Plus coming at the top with 42 fps. The Snapdragon Galaxy S8 Plus and the iPhone 7 Plus scored the same as the Xperia at 39 fps, with the OnePlus 3T coming last at 33 fps. In the GFX 3.1 Manhattan (onscreen) test, the Xperia came second at 41 fps,the iPhone 7 Plus came at the top with 42 fps, the OnePlus 3T came third with 33 fps, the Exynos variant of Galaxy S8 Plus and Galaxy S8 came last at 23fps. In the Basemark OS II test, where CPU, GPU, RAM, Web and OS performance are tested, the Xperia came at the top with 4127 points, the Huawei P10 Plus came second with 3447 points, the Exynos Galaxy S8 Plus came third with 3401 points, the OnePlus came fourth with 3320 points and the Galaxy S8 (Exynos) came last with 3272 points. In the Antutu 6 test, the Xperia came last with 144223 points with the iPhone 7Plus coming at the top with 174987 points. The Exynos Galaxy S8 scored 174435 points, the Galaxy S8 Plus (Exynos) scored 174070 points, the Snapdragon Galaxy S8 Plus scored 168133 points, and the OnePlus 3T scored 165097 points. The Snapdragon 835 is not much of a difference when compared to the Snapdragon 821. It's only under heavy loads that you would feel the difference. What's more important is real life performance and the Xperia XZ Premium performs great. The phone is snappy and is a pleasure to use. But does it heat up like others? Sony has implemented a new thermal spreading architecture with no heat pipes, but a 3 layer copper plating running across the entire back, evenly spreading the heat from the processor across the body. 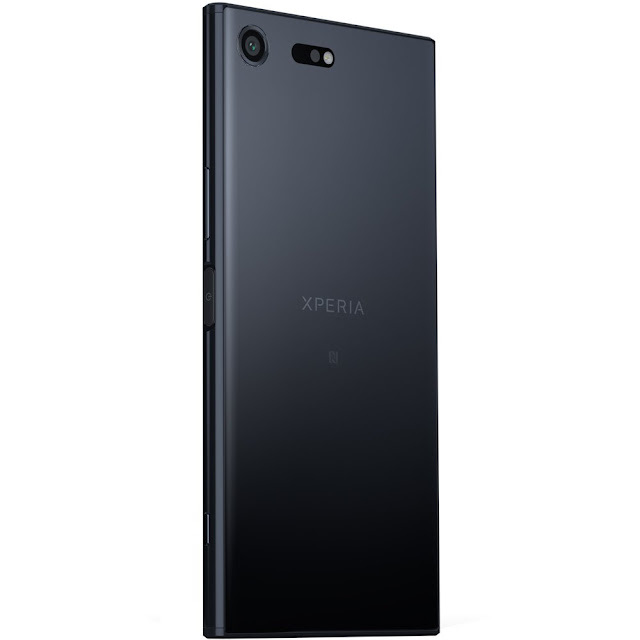 The new method is working very good, and you cannot feel the Xperia heating up even under heavy load for a long period of time. Good work, Sony! The Sony Xperia XZ Premium runs Android 7.1.1 Nougat with some gentle touches of Sony. It is stock Android otherwise. Sony's Stamina mode and multimedia apps stay. Android OS in the Xperia runs in 1080 p resolution until you feed it with 4K content. The fingerprint reader is placed in a very good position, integrated into the power key. There is an animation that slides the lock screen away from your thumb, as if you pushed it away. The home screen appears unchanged from the rest of the X series. It includes a swipe down feature which shows the screen of apps you use the most. The search field is highlighted to show you its ready to help when you need. The traditional app drawer is present, where you will find a number of apps pre-installed. Sony takes pride in their Audio/Video expertise, and all the multimedia apps are custom and feature - rich. The app drawer is quite functional, letting you to sort the apps by frequency of use, name, date or any custom setting you would like. There is also the management state, where if you go, you can uninstall multiple apps instead of dragging each app into a virtual bin. The themes also stay, both free and paid. Some themes are interactive, with their wallpapers reacting to your touch. I personally liked the Angry Birds theme. The notification panel is stock Android. You can rearrange the quick toggles by dragging them around or add more. What's missing, however, is the auto brightness toggle. The app switcher is stock Android with the 3D rolodex look and the end all button at the top. The small apps are gone and are replaced by a split screen feature. If an app supports split screen, you can just drag it at the top or bottom of the screen right from the rolodex. The Smart Cleaner app would clear your apps cache periodically. You can switch it off if you want to. The Album app is the most feature rich gallery apps ever seen by me, and it's fast and easy to use too. It switches to 4K resolution whenever you open a high-res image, which means images from your camera. So it may run at 4K resolution most of the time. The images are arranged into groups of thumbnails and are sorted by date. At the top is a slideshow, which shows your photos, or the photos you select as favourite. The latest photo of each month is shown in a larger size than other images and you can use pinch zoom to change the size of the thumbnails. Image editing is done by multiple apps, including the default Image Editor, Sketch and Sticker creator. The music app feels the same software as the rest of Sony's apps. The app provides a variety of audio settings-ClearAudio+ determines the best audio quality depending on the track you are listening to. Then there's the DSEE HX, which uses a wizardly algorithm to restore or extrapolate compressed music files, like MP3 into Hi-res audio. According to Sony, the result is near Hi-res Audio Quality, but the feature works with only wired headphones. Dynamic normalizer evens out volume difference among tracks, which is great if you have mixed multiple albums from multiple services. There's no FM radio on the XZ Premium, and Sony's proprietary song recognition app TrackID doesn't come pre installed. You can still download the app from the Play Store if you want to. Don't be fooled by its name! The app is a lot more than just a video player. It can play your local videos and also videos on your home network all in native 4K, plus it has extensive subtitle settings. You can also make you videos to play in the background. But if you tell the app where you are and if your region is supported, it will pull info off the internet TV with schedules, and shows what's airing currently and highlights. Sony said that it worked hard to improve the audio experience on the Xperia XZ Premium and that it would perform much better than the XZ. While the new software tricks may prove useful to those willing to tune the output for their headsets, the audio chip seems to be unchanged. The output did not have much change. The phone delivered excellently clean audio when we used it with an external amplifier. The output loudness was average, though, as most of the flagships are louder. Clarity degradation caused by headphones is very little and a little hike in stereo crosstalk and a little intermodulation distortion was all I got. 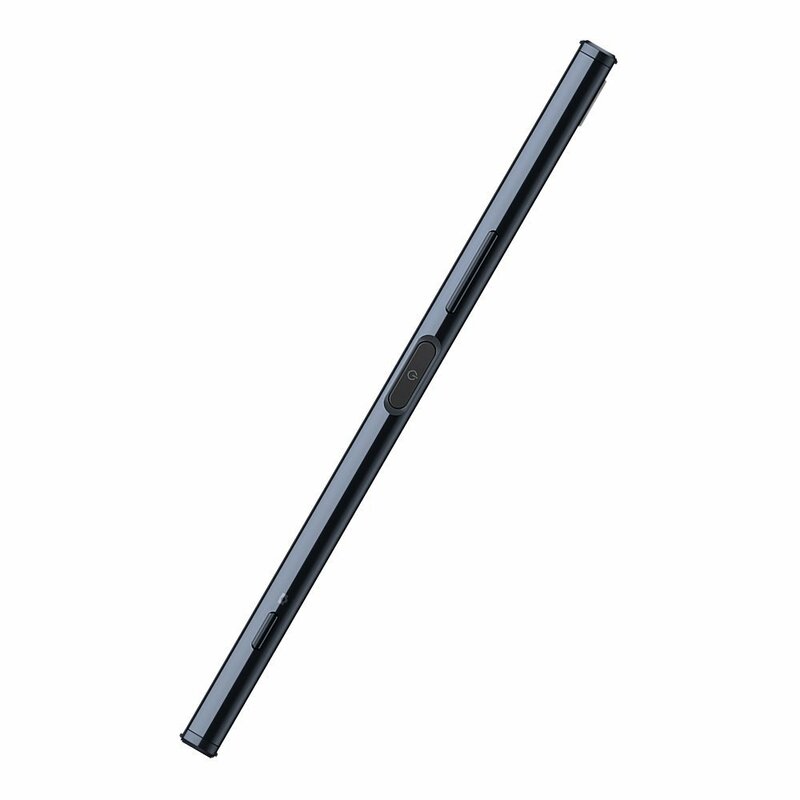 The Xperia has front firing stereo speakers like every Sony flagship since the Xperia Z2. So we would take this setup over any other instantly, but the speakers are modest in terms of loudness, gp falling below average in our loudness test. The audio quality and clarity were great though. The Xperia XZ Premium scored 62.9 dB, whereas the Samsung galaxy S8 scored 66 dB, the iPhone 7 Plus scored 68.3 dB, and the Huawei P10 Plus scored 64.8 dB. The Xperia XZ Premium comes with a 3230 mAh battery with Quick Charge 3.0 enabled which promises to fill an empty battery up to 42% in 30 minutes. However, the Quick Charger does not ship with the device-you have to purchase it separately. The phone is a pretty good balanced performer. Web browsing over WiFi depletes the battery over 10 hours. The phone also managed through 8 hours of video playback , which is very good for a flagship like this. The Qnovo Adaptive Charging inside the Xperia allows the smartphone to monitor the cell's electro-chemical processes in real time and adjust charging parameters accordingly, to minimize cell damage and extend the lifespan of the battery. Sony's own Battery Care is also present which monitors your charging habits and charges the phone accordingly. Sony also has their proprietary Stamina mode, but the Stamina mode is of two types-the normal Stamina mode an Ultra Stamina mode. The normal Stamina mode disables non-essential features like GPS and vibration, and lowers the performance a little. The Ultra Stamina mode is for emergency situations where you have a little percentage of battery left and you cannot find a plug nearby. The feature enables a single homescreen with with access to the dialer, contacts, text messages, camera and clock. Booting out of Ultra Stamina mode requires you to restart the device. The Xperia XZ Premium is well stocked with several connectivity options. Our unit was the single-SIM variant (G8141). There is also a dual-SIM variant available (G8142). In the dual-SIM variant, the SIM slot takes two nano-SIM cards, with dedicated microSD card slot. The Xperia features LTE Cat.16 with up to 1Gbps of download speed. The phone utilizes a 4×4MIMO antenna design and packs in a total of 8 antennas, which improves the signal reception and allows the device to switch antennas depending on orientation. The phone also comes equipped with dual-band WiFi a/b/g/n/ac with 2×2 MIMO antennas with speeds up to 867Mbps. Local connectivity continues with Bluetooth 5 with aptX and Low Energy, NFC. If you connect a DualShock controller, the Xperia doubles as a portable console streaming the games on your PS4 via PS4 Remote Play. You can also connect your device to the car audio using MirrorLink. GPS, GLONGLASS, BeiDou and Galileo satellite positioning are supported. The USB Type-C port has USN 3.1 support. it lets you hook up USB storage and accessories and can be used to charge other devices also. 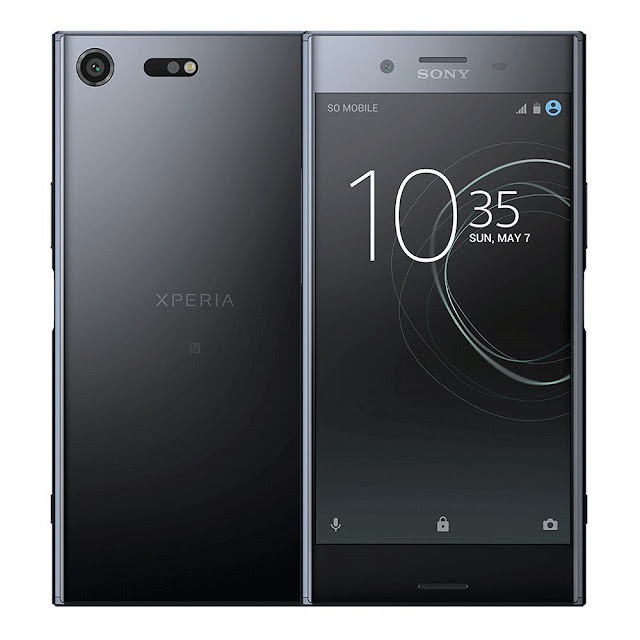 The Sony Xperia XZ Premium is a phone packed with features, and considering its impressive 4K display and massive power with the excellent camera and great battery life, it surely has all the core ingredients to become a solid flagship. The price is pretty high though, which means it has to face some pretty tough competition, such as the Samsung Galaxy S8, LG G6, iPhone 7 Plus. 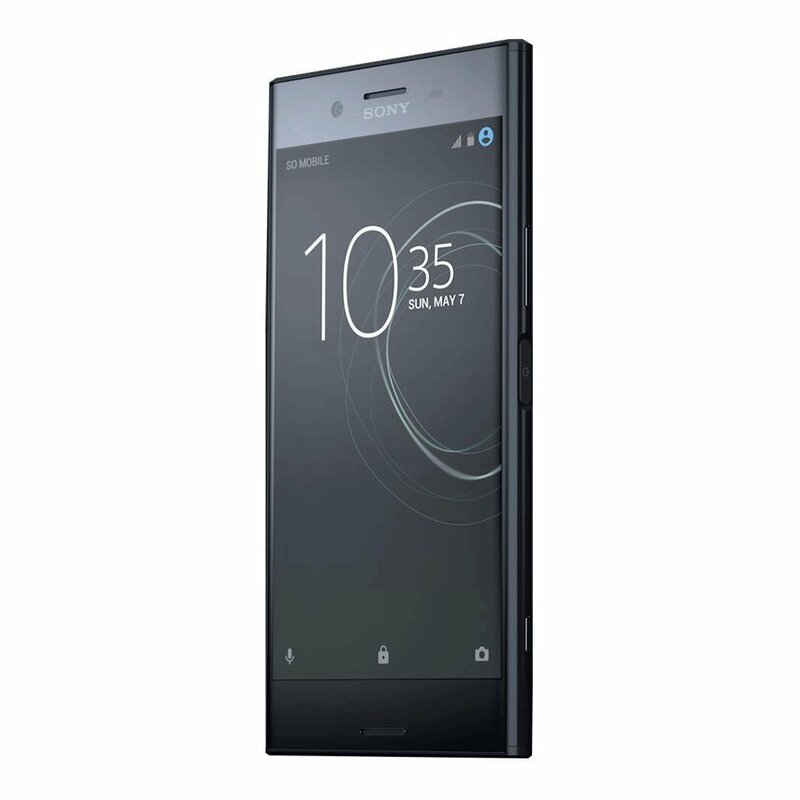 While many may say it may not look as good as the "infinity display" equipped Galaxy S8, which is quite true, the Xperia XZ Premium has a distinctive uniqueness of its own, and it stands out from the crowd. And looks? To me it is one of the best looking mobile phones ever produced.